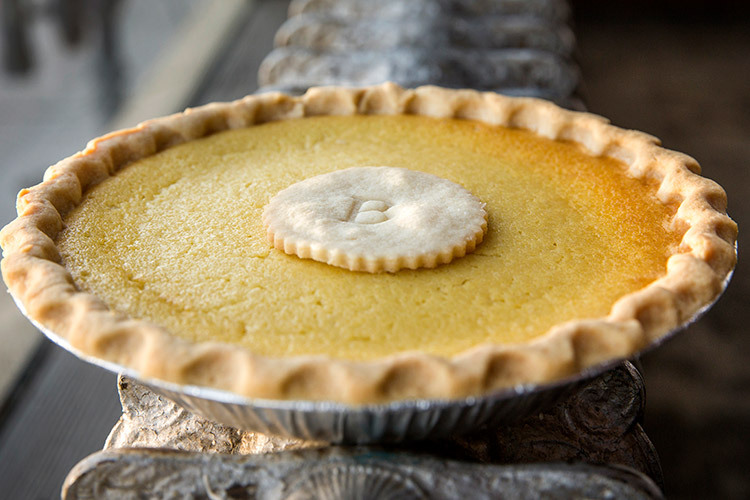 Smooth, mild, and sweet, our buttermilk filling is like a cross between a chess pie and a custard. 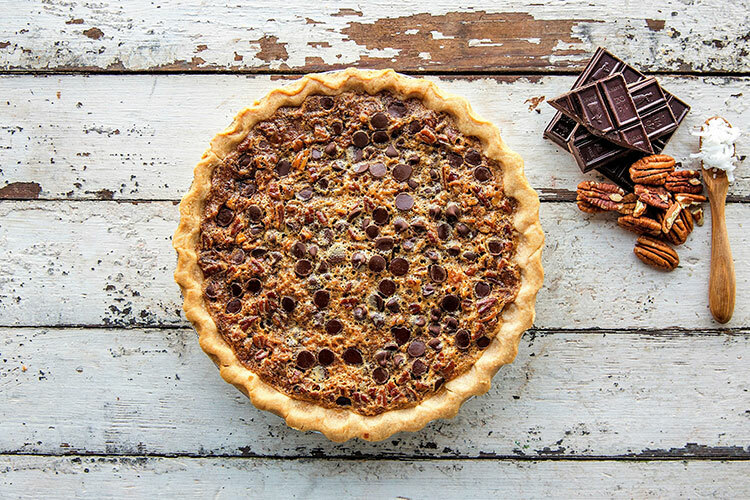 Pecans, chocolate chips, a sprinkle of toasted coconut, and a smooth pecan pie filling combined in a sweet shortbread crust. 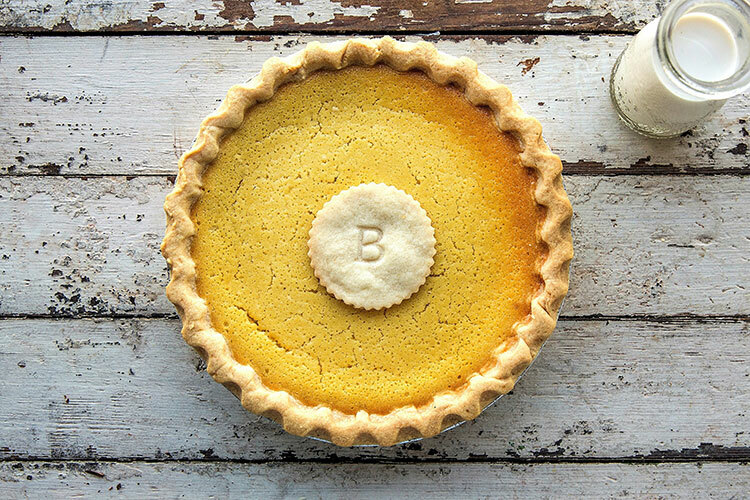 Passed down for generations, this pie harkens back to a simpler time when food was fresh, homemade, and created by someone you knew. 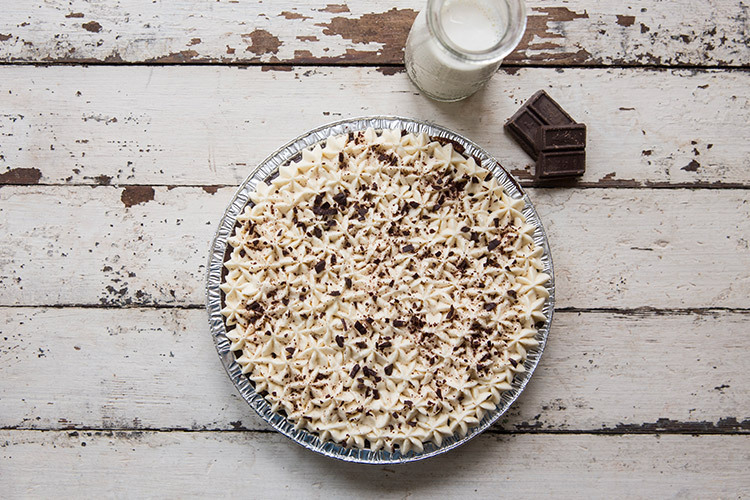 This classic favorite is filled with thick and rich chocolate custard in our signature Oreo crust, topped with lightly sweetened fresh whipped cream, and garnished with chocolate shavings. 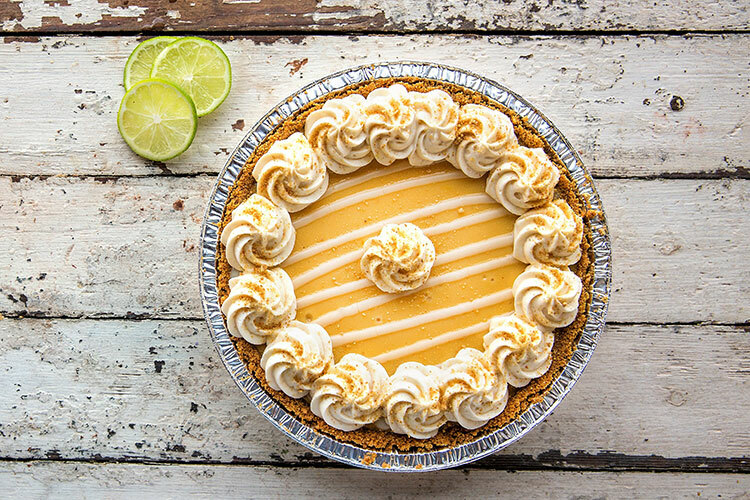 Our house made graham cracker crust is filled with our perfectly balanced key lime filling. 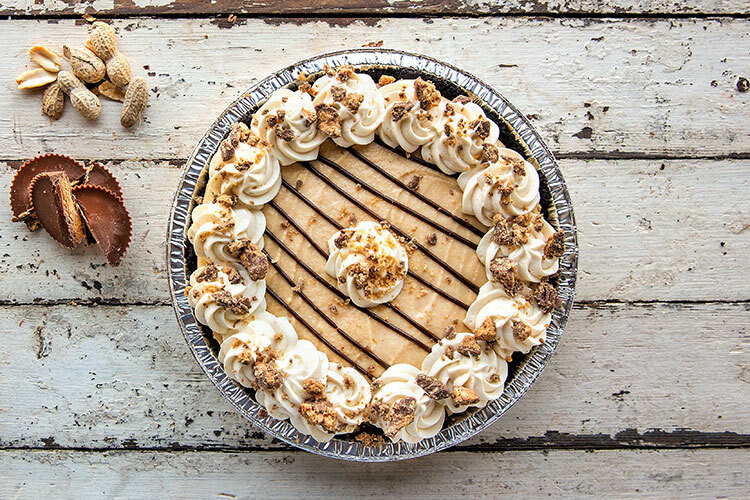 Peanut butter and cream cheese are sweetened and whipped into a rich filling that is set into an Oreo cookie crust. 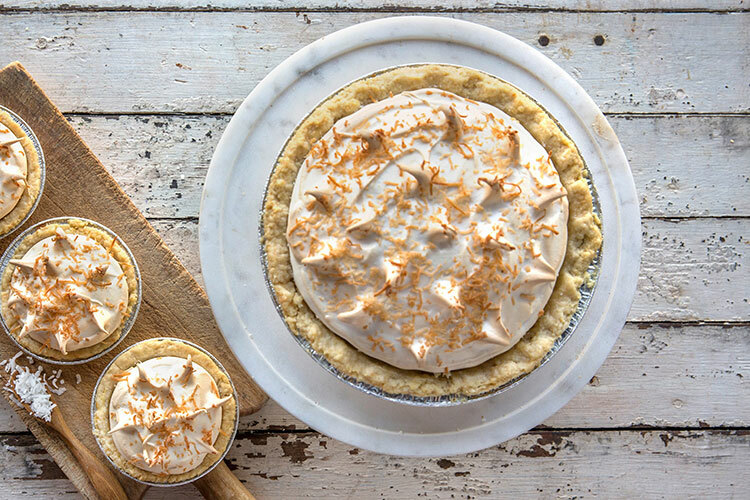 Rich, creamy, and with a taste like summer, our Coconut Cream Pie is one that can be enjoyed no matter the season. 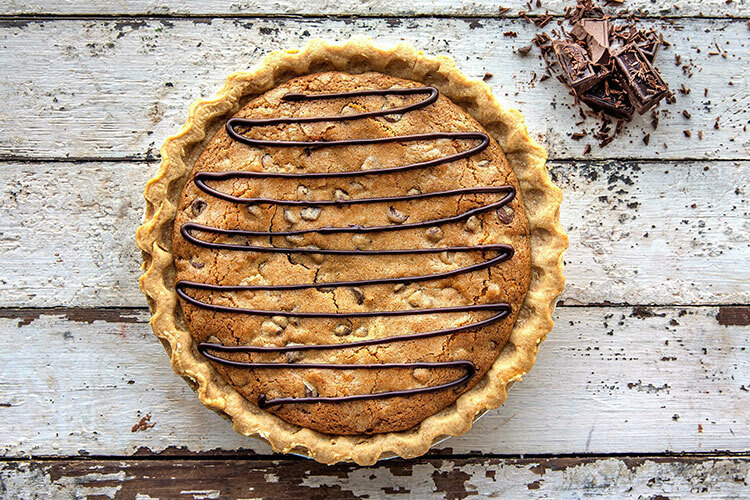 Brown sugar, chocolate chips and vanilla combined and baked into a buttery shortbread crust. 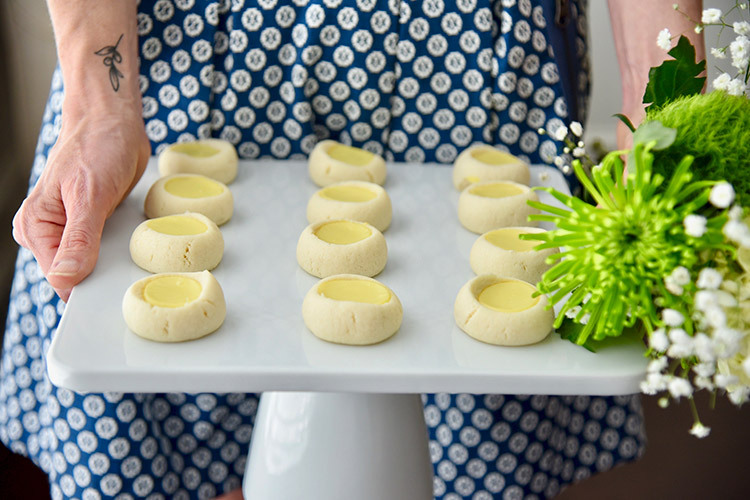 Housemade shortbread, with our perfectly sweet icing. 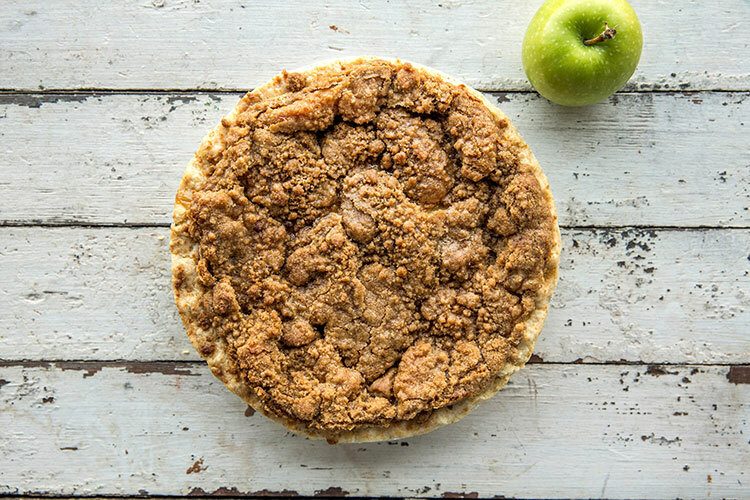 Our signature take on pie a la mode. 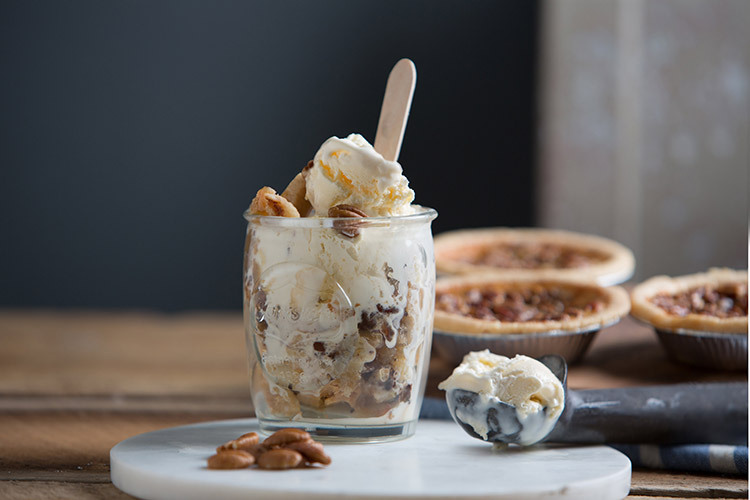 We combine a mini pie with a scoop of ice cream so you get pie and ice cream in every bite. 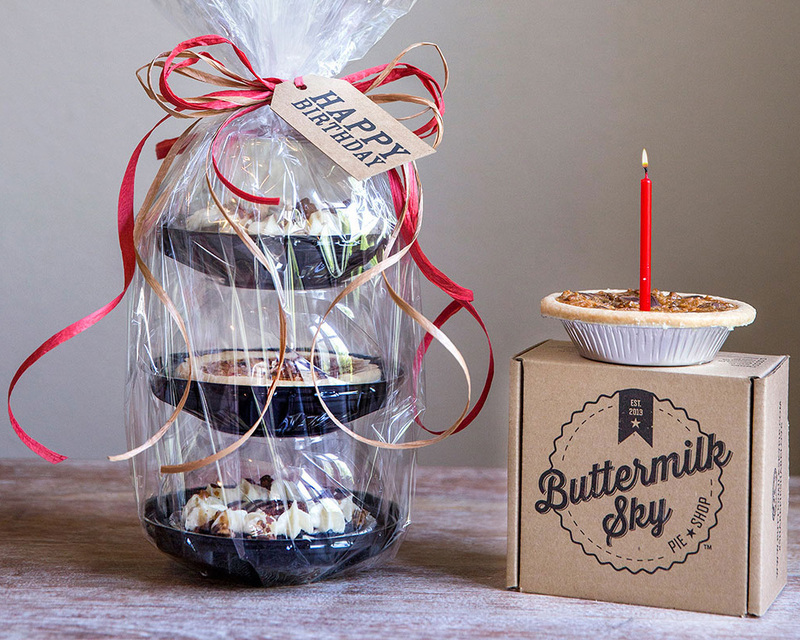 Perfect for birthdays family gatherings and corporate gifting. 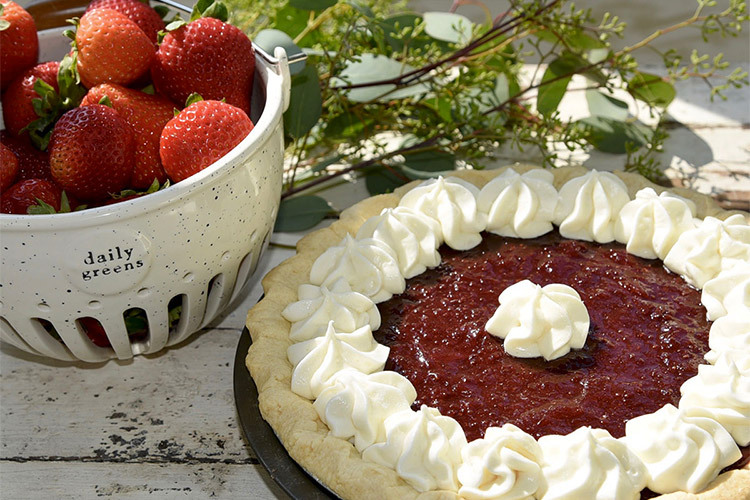 Great for personal indulgence, gifts, and team celebrations. 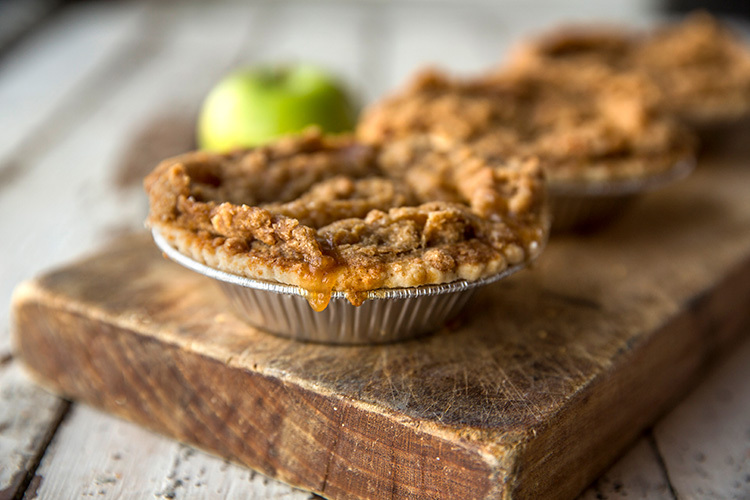 You get three each of Key Lime, Chocolate Cream, I-40, and Chewy Chocolate Chip packaged together in one box. 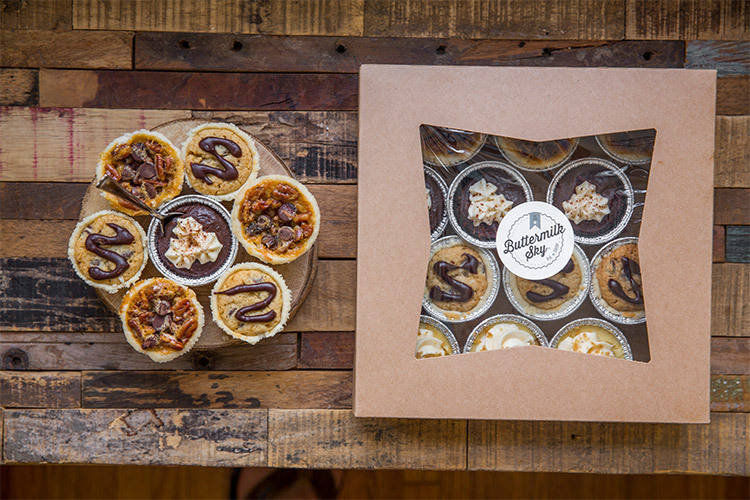 Ideal for parties, meetings and thoughtful gifts. 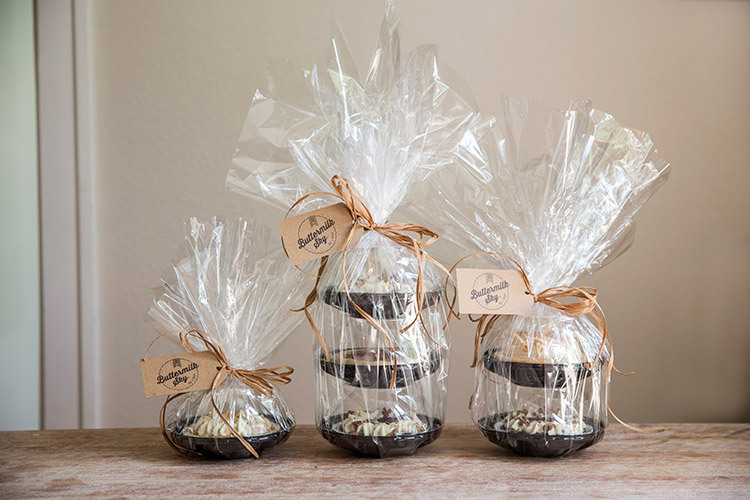 Wrapped in cellophane and personalized with ribbon and tag.